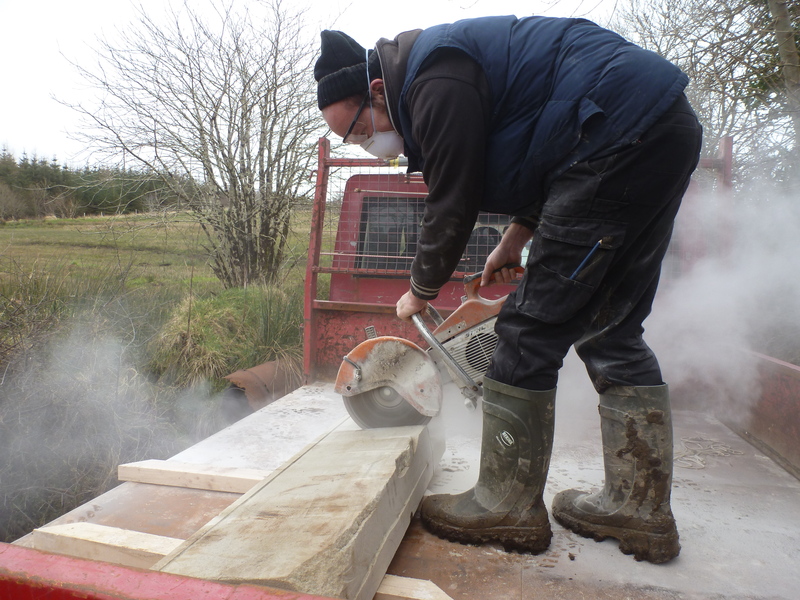 Keiran makes short work of chopping a sandstone sill…. 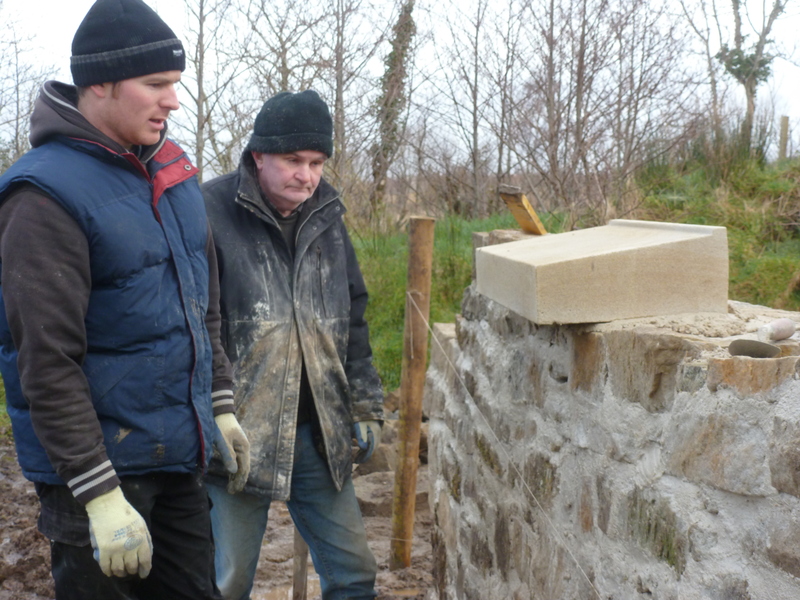 Then it’s hoisted in a barrow through avenues of muck by the bold Mick – sandstone is double the weight of water. 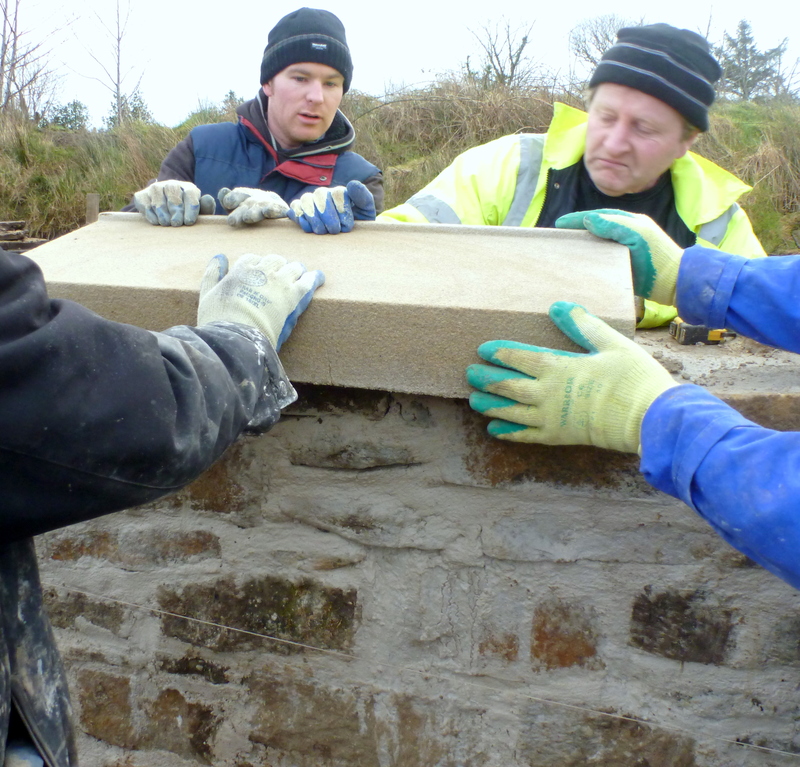 All hands on deck as it is gently placed atop a bed of lime mortar…. Kieran levels it & he’s happy. Joe also casts an inspecting eye. 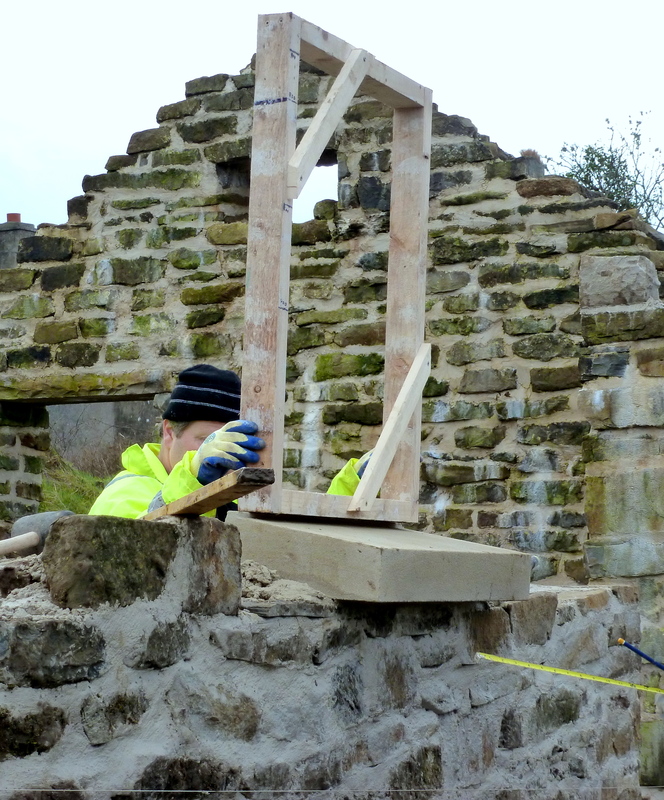 Using a template Bernard marks the final position of the window, which shall be mortared directly into the wall. 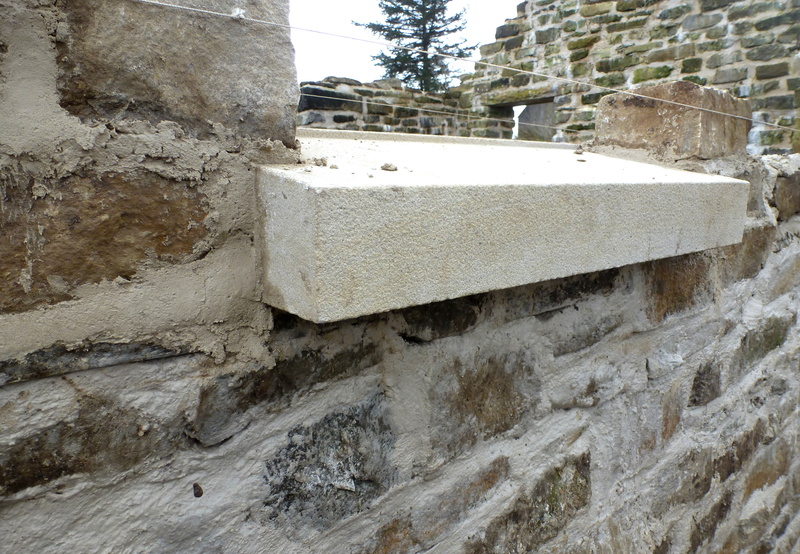 Two specially cut stones are bedded either end on top of the sill, to accommodate the slope of the sill, while also breaking the joint from the previous course – hence the sill is tied into the wall. Beneath tarp we’ve tucked woolen blankets. Let’s hope the coming frost is not too harsh. 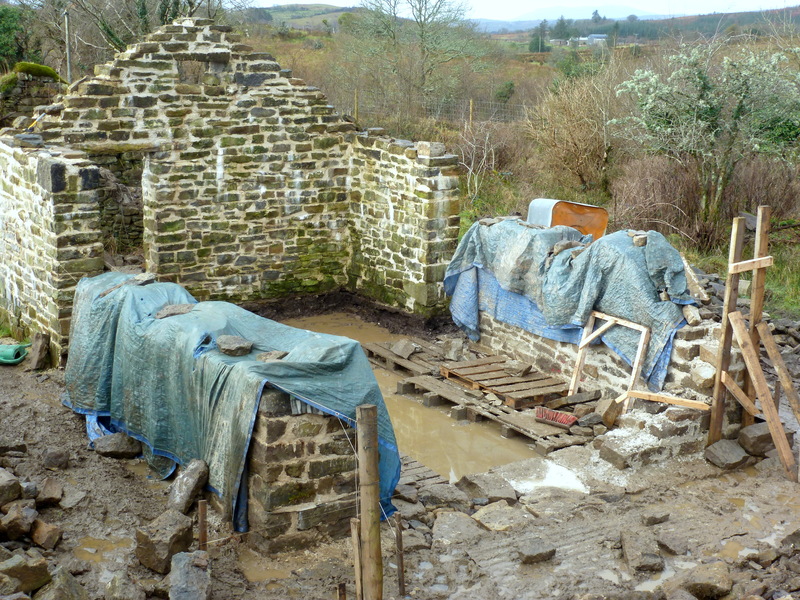 Posted in sandstone, window sillsTagged tie stones, window sillsBookmark the permalink. Architectural elegance, despite the horrible conditions.